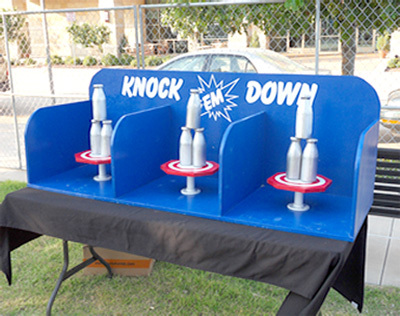 This classic carnival game is loads of fun. Throw a bean bag and try to knock down all 3 bottles at once. It is harder than it looks but it can be done. Do you have what it takes? Size: Height: 3ft. Width: 7ft. Depth: 3ft.